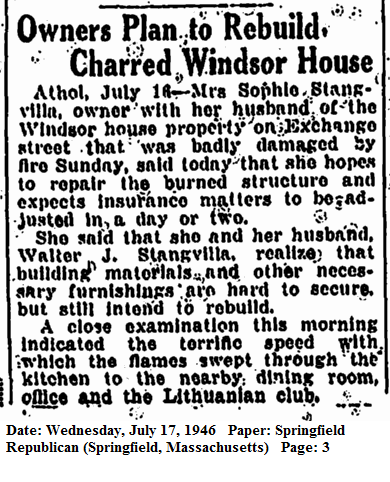 My Lithuanian grand aunt, Connie Barton was a resident at the Windsor House (which also housed the Lithuanian club) off Exchange Street in Athol, Massachusetts when on 14 July 1946, a fast moving kitchen fire caused by “hot fat” inflicted $20,000 in damage. – William P. Cleary, 58, jumped from the third floor ledge to a roof next door and broke his ankle. – Nik Ross, 65 was overcome by smoke and suffered burns on the hand and face. 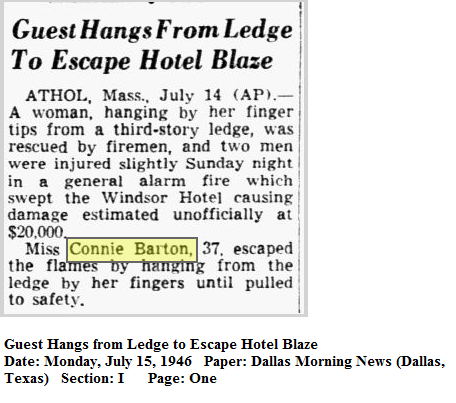 – My aunt, Connie Barton, 37, escaped the flames by hanging from the third story ledge by her fingertips until she was rescued by firemen! The owners did plan to rebuild, Connie relocated to 387 South Street in Althol. In my newspaper (The Chicago Times) yesterday, I saw an item about you and your great courage. I did so want to tell you how much I admire you and of my heart felt sympathy. I can imagine to a small degree how you must have suffered and no doubt still are — strained muscles – back – hands and nerves. 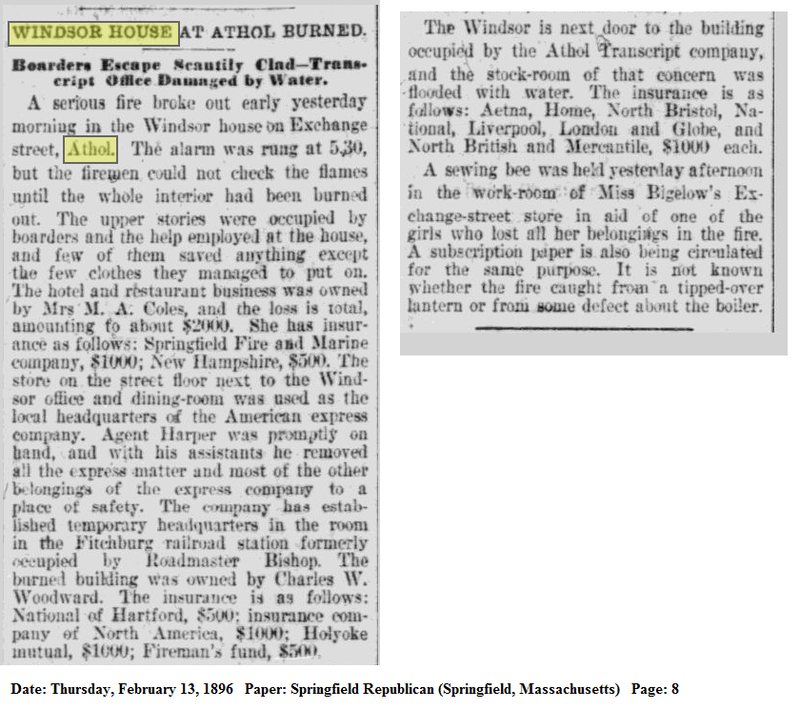 This was not the first time that the Winsor House burned! A February 1896 the structure, then owned by Mrs. M. A. Coles, burned – no lives were lost but many lost all their possessions. The cause was a tipped over lantern or a defective boiler. The hotel was next owned by Frank H. Ball and later purchased by a long time employee, a Lithuanian, August Sklenis who died in 1936. Uncle Anthony Has Been Found!! I have written of my long-lost great-uncle Antanas Baltrūnas born on 8 April 1898 in Preibiai, Panevezio, Lithuania to Juozas Baltrūnas (Joseph Billie) and Salomėja Markevičiūtė (Sally Morris) – here. He immigrated to the United States arriving in New York on Tuesday, 22 April 1902 with his mother. The pair joined his father in Pittsfield, Massachusetts where he resided with his family and later a cousin Anthony Gaston/Gasson and wife Ona/Anna (Vyšniauskas/Wishnewski) Gasson (his mother’s niece through her sister Elžbieta). 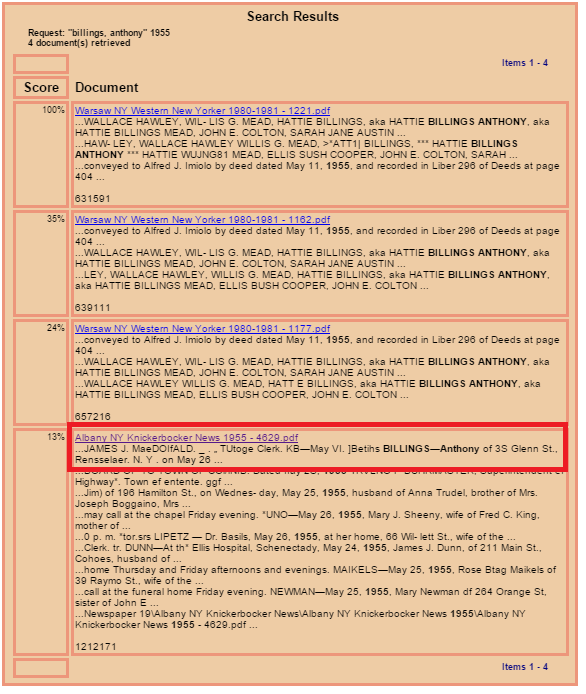 He used the name Anthony George Billie/Billings. The 1923 Pittsfield City Directory reads ”Anthony Billings, rem to Detroit Mich. Then he is gone…. His two nieces recall that “Uncle Tony” arrived on Easter with solid chocolate bunnies for them (one Easter, many Easters?). Details are fuzzy, but they recollect his joining the military, losing a leg (or maybe an arm) and residing in New York. His sister Connie, in 1959, mentioned at a funeral that her brothers were all deceased. So he presumably died after 1939 [the youngest niece would have been four and at an age to recall chocolate bunnies] and before 1959. When his sister Connie died in 1974, her estate was split between my mother and her siblings, so likely he never married and had no offspring. Happy dance!!! – Tony May 26, 1955!!! Then I opened the envelope. 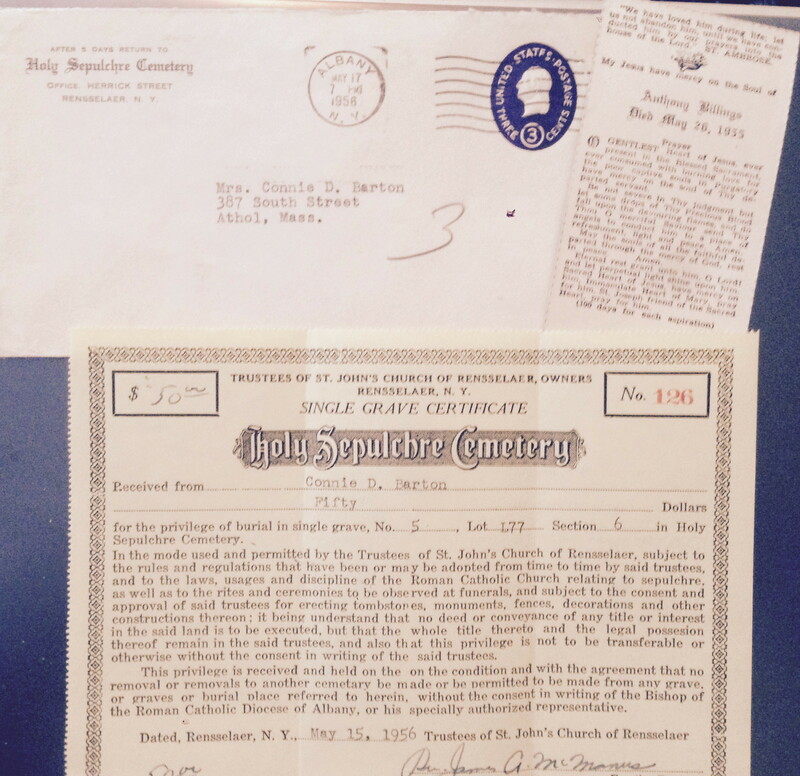 A mass card and a receipt for a single grave for Anthony Billings at Holy Sepulchre Cemetery from the trustees of St John’s Catholic Church in Rensselaer, New York!!! Anthony was single. It appears that he never married. The census tells us that he never attended school but could read and write. He was a laborer working odd jobs. His birth year is off slightly (not unusual) and his birthplace is listed as Massachusetts (perhaps in error or he might have fibbed to avoid filing for Naturalization (which could explain why an alien registration card has not been located). Both parents are reported to be of Russia (common for Lithuanians as the country had previously been under Russian rule). I haven’t located my uncle in the 1940 census or the 1942 draft. I do have his 1940 Alien Registration Papers. Although his signature is different from his 1917 draft registration and he reports his birth in the town of Kaunas (which is the Province of his birth; Pumpenai is the town and Panevezys the district) all other details are consistent, including a reported birth date of 20 April 1900 (same as his 1917 draft registration). Tony reports a residence of 530 East Washington Ave., Bridgeport, Connecticut on 23 Dec 1940. He “thinks” he entered the United States through New York in 1900 (exact date and ship name/unknown) under the name Anthony Baltrun. He uses the name Tony Billie. He is single with no wife or children; parents are deceased. He is 5’4″, 140 pounds with brown-gray hair and blue eyes. He has been in the United States for 40 years, having been born in or near Kovono (Kaunas), Lithuania (but does not know the Providence) has not registered for citizenship and plans to remain in the United States permanently. He is usually a laborer but at the time was unemployed. He has never been arrested or in the military and belongs to no clubs or other organizations. Included is a print of his right index finger. We do not know how long he stayed in Connecticut or when he returned to New York. I spoke to the cemetery. Anthony died at Memorial Hospital in Albany, New York of conjunctive heart failure. His last known address was 25 Glen Street in Rensselaer, New York. I searched the New York newspapers on Fulton History for an obituary or death notice with success! Don’t let the name “Fulton History” fool you, the site offers a plethora of free New York papers; I have discovered hundreds of articles on other family members. Hmmmm…. 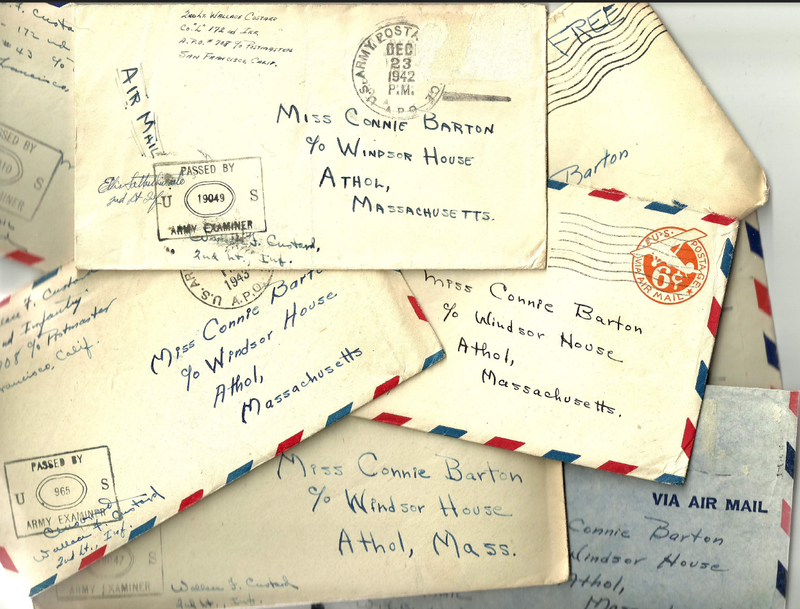 If I had searched “Connie Barton” AND Athol in this database, I would have located his death years ago – another lesson learned! Off to order a death certificate! Fingers crossed for more Anthony happy dances over the next few weeks! Happy Anniversary to my parents, Betty and Bob. Today, 18 February 2015, they would have been married 53 years. The first year, they lay at rest, together again. Pat, my friend since the age of ten, and I, grew up in a neighborhood [the Bellrock section of Malden, Massachusetts] with lots of kids our age. When we were teens, we hung around the corner drug store, owned by Hy Goldberg, a very good friend of your grandfather [Dr. Charles George Hall]. A coke was five cents, an ice cream was eight cents. It was Kerwin, Ferrick, Short, Sheehan, O’Keefe, Dean, Skelton, Winchell, Keough, Hall, Murphy, Nugent, etc. The guys all went to Malden High or the trade school. Most were in the high school with me and played sports of some kind. Pat and I went to most of the games. Your father played football and baseball. The guys on the football team dated the cheerleaders. Your dad dated a girl named Alice. 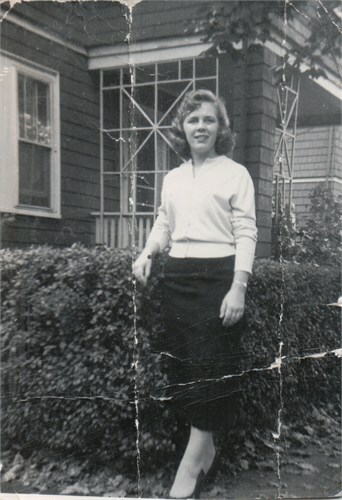 She would take the bus home from school, pass the drug store, see Pat and me there with other girls and the guys, and accuse Bob of cheating on her. She didn’t like us. We probably weren’t even paying attention to Bob with so many kids hanging out there. All just friends. When your dad joined the Air Force with Kerwin and several other guys and was sent overseas Alice would write to him often. He hated writing letters so he gave her letter to a friend to answer. The friend typed a reply and your dad signed. He said he very often didn’t even bother to read it. What a brat! When he got home she had moved on and was seeing someone else. His friends kept fixing him up with different girls. He said it was usually just the one date. One night, in 1961, I got a phone call from Bob’s friend Woody Short aka Lloyd Short. He was calling from the Kernwood Restaurant and Bar. I don’t think either one of them were entirely sober. Woody asked me if I’d go out with Bob on Saturday night. Thinking he was drunk and it was a joke, I said, “sure why not”. Saturday came, I was sitting around reading a book or watching TV, when the door bell rang. I was shocked to find Bob standing there. I did go out with him. It was the middle of May. 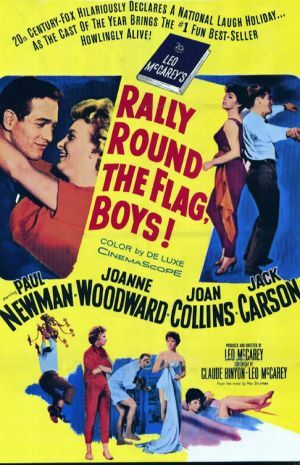 We went to a drive-in-movie to see “Rally Around the Flag Boys”. We talked through most of the movie. When he took me home, he said he never noticed how cute I was and what a good sense of humor I had, and then kissed me goodnight. I figured it was one date and dismissed it. He was a neighborhood friend! Low and behold he called me again and again. I did date a guy before your father, for seven years. He was a Lithuanian guy from Salem, Massachusetts, named Eddie Piecewick. I wasn’t seeing much of Eddie, with him working and going to school and living so far away, so I went out with Bob. We were not exclusive as you kids today put it. That’s why I started dating your dad at the same time. Bob and Eddie did not get along, the few times that they met. Only because your father was rude to him or maybe just jealous. 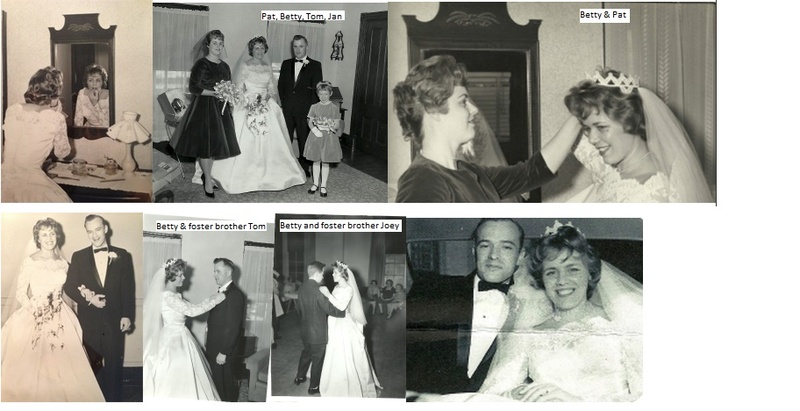 Bob and I went to Pat’s (she was married by then), out to dinner, movies, walking the length of Revere Beach, etc. Pat was happy I was dating him, but my other friends were kind of cool toward him, because they were all friends with Eddie. After your father got home from the hospital in Germany and recovered at home he got a an infection in the same stomach area and had to go into Chelsea Navel Hospital for medical attention. Nana [Bob’s mother, Edith], who I had never met, called me and asked me to take her to visit him. I had been invited to their house, because they knew we were dating, but thought “rich doctor, stuffy wife”, no way was I going there. Much to my surprise, she was very down to earth and a lovely person. Through a good part of her life she introduced me as her “daughter in love”. We got along great. Grampa [Bob’s father] told Bob that he made a good choice and he liked my sense of humor. We all got along great. I worried for nothing. 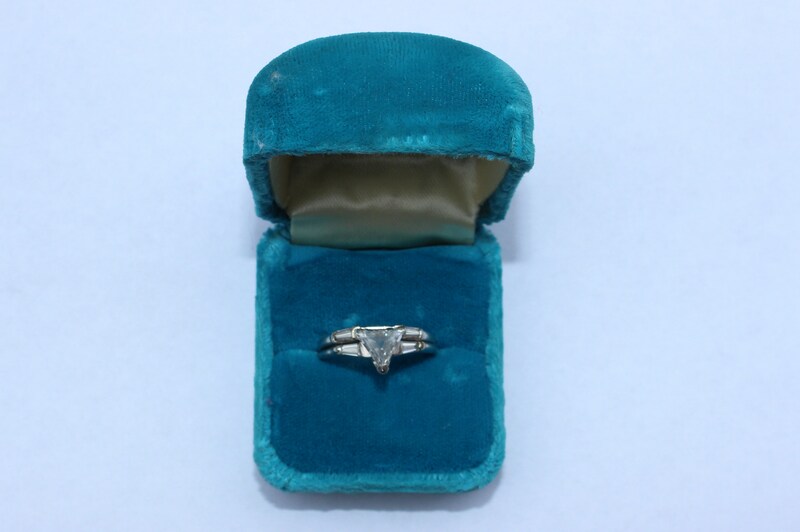 By August he asked me to marry him. I said no, that was not for me. He asked me again in September and then I said yes. 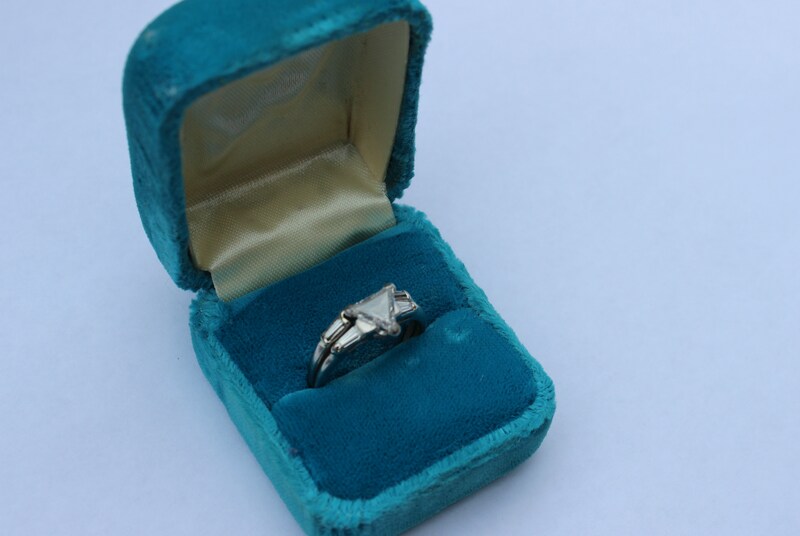 For my birthday he gave me an engagement ring. We planned a small wedding because I had little money, having spent it on funerals for my father and mother. Also I had no family to speak of. I wanted to wait a year to get married, he didn’t, so we picked 18 February 1962. 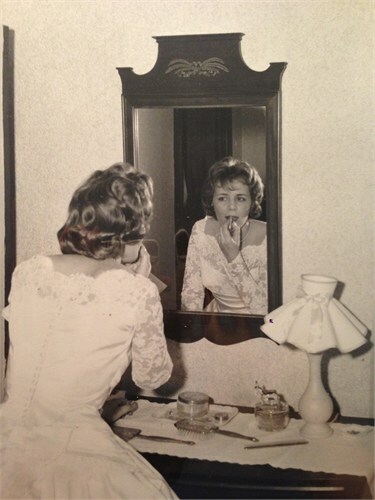 Pat was my maid of honor, Janice [Bob’s niece] my flower girl, who hated having to wear a dress. She looked adorable in the dress, Helen, her mother, made for her. 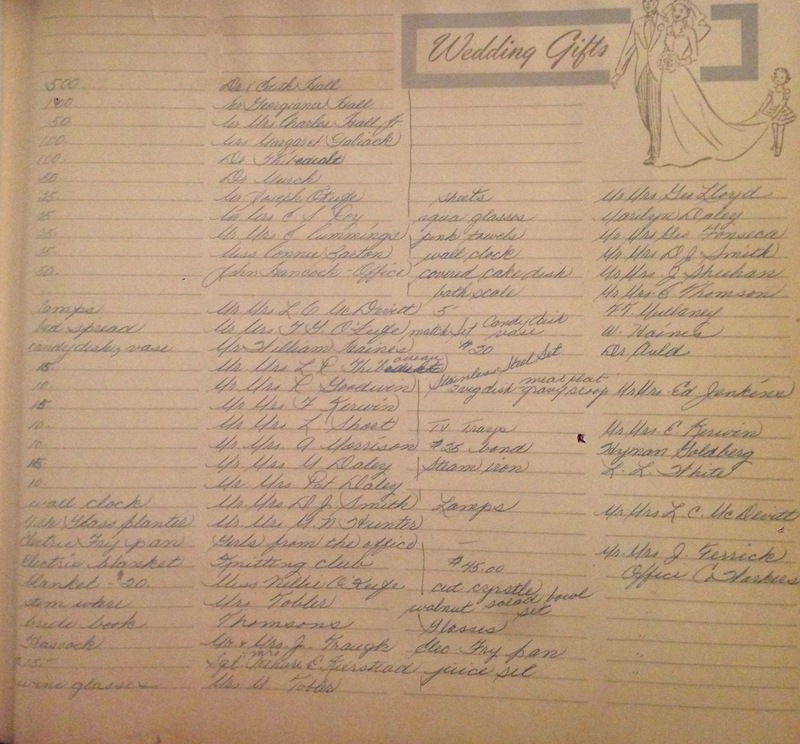 Joanne [Bob’s first cousin] took care of the guest book and did a wonderful job. Also looked so cute. Back then a person took the book around for the guests to sign. Because my godfather [maternal uncle, Edmond Sylvio Roy] could not make it up from Florida to give me away, I asked Tom O’Keefe [Betty’s foster brother]. Joking, he said he’d be happy to get rid of me! By then he was married to Liz. I asked Aunt Margaret [Betty’s foster mother] to stand in for my mother. She did and looked lovely. We were married at Sacred Heart Church in Malden by Father Hart later to become Bishop Hart. We were not allowed inside the alter as most brides were, because Bob was not Catholic. I had to get permission from the bishop to marry outside my faith. My bans, an announcement in the bulletin, was not allowed. Bob had to attend a meeting with the priest on the Catholic religion. He met with Father Hart and said they mostly talked about the greyhounds [Bob and his dad and grandfather raised and raced dogs], after Bob promised to bring any children up Catholic. The reception was at the American Legion Hall on Pleasant Street, because Aunt Margaret’s husband was a member, and she was too, so she got us a deal. We had a band. An old boyfriend’s brother in law. I forget his name. No special song. Maybe fifty people or less. I forget. Mostly Bob’s friends, mine from Malden and work. Some of Aunt Margaret’s friends and relatives and Nana’s friends and her knitting club. A couple of doctors that were friends of Grampa. Grampa’s only request was that he not wear a Tux. After the reception we stopped to see Georgiana [Bob’s paternal grandmother], because for reasons I never heard, she did not attend the wedding. We went to Pennsylvania for a week. I remember staying the first night in New York and leaving my only pair of heels there. I had to buy shoes in Pennsylvania but the hotel did mail my shoes to me. We met a lot of nice people. We went to a place called Mount Airy Resort in the Pocono Mountains. It’s still there but looking at it on line it’s been updated after fifty two years. It is or was a honeymoon resort with a hotel and outlying cottages. Lots of things going on and most of the people there were our age. It had it’s own restaurant and night club. You could ski, sled, hike, etc. Dancing and entertainment in the club. After the honeymoon we went to our apartment at 64 James Street in Malden, returning home in a miserable snow storm. It was a nice surprise that your grandparents [Bob’s parents], went food shopping and left us food in the house. We forgot to do that before we left! Also we came back on a Sunday when the stores were closed. Would you believe I still have the giant sized can of Spaghetti O’s they left!!! We planned to work for a few years before having children, but come April, I found out I was having a baby!!! I worked until September [at John Hancock]. Back then you could not work beyond five months. On December 29, 1962 we had a baby girl. The rest of that story is yours!!! This is a reminder to document your own courtship and that of your ancestors to preserve your story for future generations!! With a heavy heart, we said goodbye to my mom, on Friday, she has touched many lives and will be missed, although sad to see her go it is comforting to know that she is free of pain and suffering. 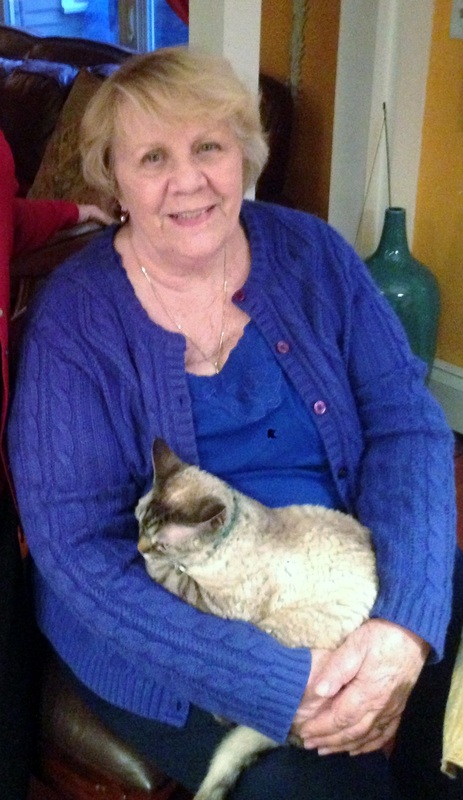 Elizabeth Norma “Betty” (Billings) Hall of Linden, Malden, Massachusetts passed away on 6 February 2015 from complications related to Multiple Myeloma at the age of 79. She was born 19 October 1935 in Gardner, Massachusetts to Charles Billings and Yvonne Marie Roy. Elizabeth was interested in genealogy and proud of her heritage. 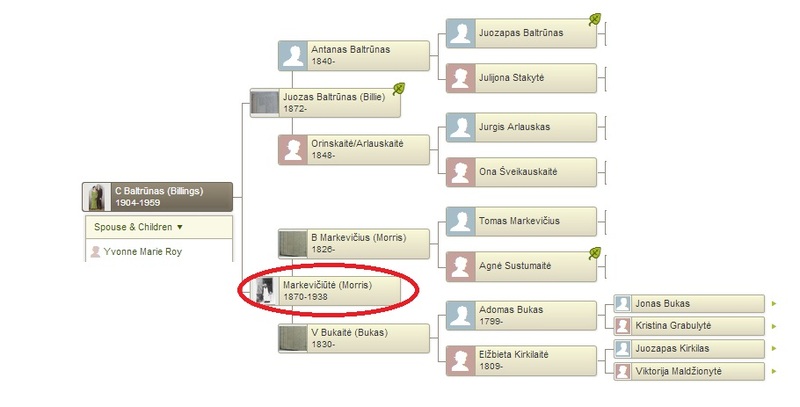 Her father, a Lithuanian, was born to Juozas Baltrūnas (Billie) of Preibiai, Pasvalys, Lithuania and Salomėja Markevičiūtė (Morris) of Stanioniai, Pasvalys, Lithuania (both near current day Pumpenai, Pasvalys, Lithuania). 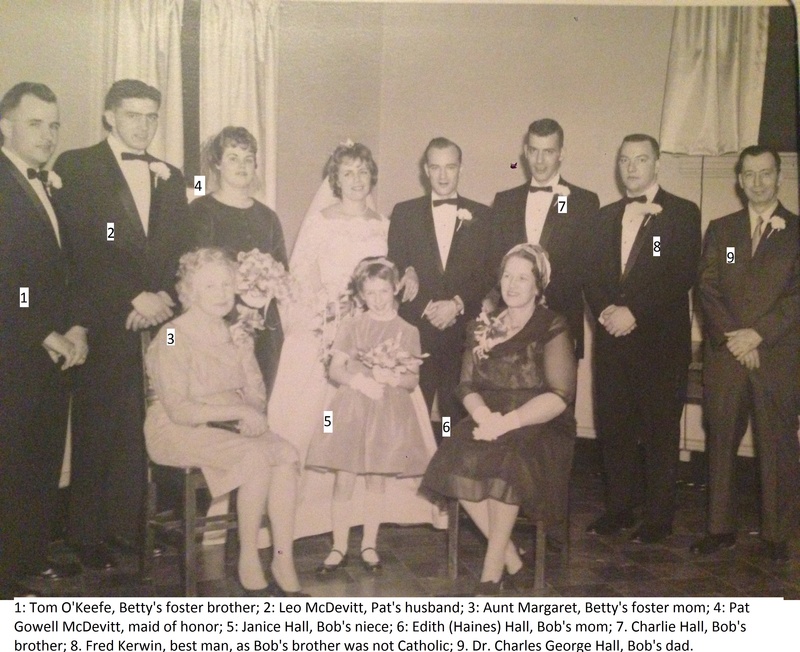 Betty’s mother, a French Acadian, was born to Pius Dosithée “Paul” Roy of Ste Marie de Kent, New Brunswick, Canada and Laura Marie Melanson of Scoudouc, New Brunswick, Canada. In the early 1940’s Betty came to the Bellrock section of Malden and was raised by foster parents Joseph and Margaret Galiack. 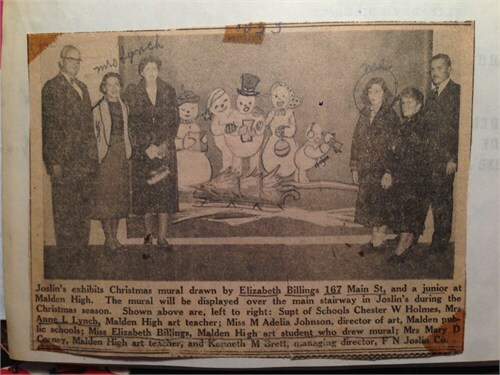 She graduated from Malden High School in 1955 and was awarded a gold key and college scholarship for her art talents. She then worked for John Hancock Insurance Company. On 18 February 1962, she married Robert “Bob” Hall, son of the Malden veterinarian, Dr. Charles George and Edith Anna (Haines) Hall. Together they raised four children and lots of beloved (mostly stray) cats. For many years, Betty was a stay at home mom. When her children were young, she was a Cub Scout Den Leader and a CCD teacher at St Joseph’s Parish in Malden. She completed the Religious Master Teacher Program at Aquinas Junior College in 1982. She also worked as a leader at Weight Watchers. When her youngest child reached school age, Betty became part of the family at Robinson’s News Agency in Malden, where she was employed by the Kramich family until her retirement. In recent years, Betty enjoyed lunching with friends, drawing, reading, watching old TV shows, playing computer games and looking after the feral cat living in her garage, who she lovingly named Lily. Survivors include her beloved children Linda and John Little (her beloved son-in law, good friend and caregiver, who she loved as a son) of Jackson, New Hampshire; Nancie and John Georgopolous of Raleigh, North Carolina; David Hall of Malden and Michael and Lauren (Fontana) Hall of Reading, Massachusetts. Her grandchildren Makayla Georgopolous, Zack Georgopolous and Anna Hall, and step-grandchild, Kaitlyn Little were the light of her life. 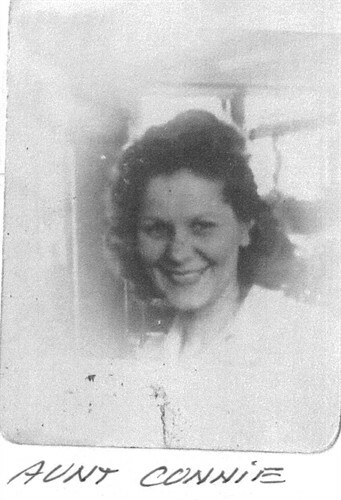 She also leaves a sister, Shirley Billings of Sylacauga, Alabama; a brother Ralph Charles Billings of Las Vegas, Nevada; a brother-in-law Charles George Hall Jr. and wife Ann (Bickford) Hall of Falmouth, Massachusetts; many nieces, nephews, cousins, an aunt and her lifelong best friend Patricia (Gowell) McDevitt of Melrose, Massachusetts. She was raised with Joseph O’Keefe of Billerica, Massachusetts and the late Thomas O’Keefe of Brockton, MA who were like brothers to her and she thought of their wives and children as true family. She was predeceased by her husband, who died on 12 December 1993 and a brother Charles Anthony Billings. Visitation: Tuesday, February 10th from 4:30-6:30pm at Boston Cremation Funeral Home, 287 Main Street, Malden, MA. Funeral Mass: Wednesday, February 11th at 9am at St. Joseph’s Church, 790 Salem St., Malden. Immediately following the service she will be put to rest with her beloved husband at Holy Cross Cemetery, Malden. In lieu of flowers, her wishes were that donations be given to The Kitty Connection, 6 Cudworth Street Medford, Massachusetts 02155 (who captured and found homes for a number kittens living in her garage) http://www.kittyconnection.net/donate/, a donation in her name to your church, to an organization dedicated to finding a cure for Alzheimer’s disease or to any charity of your choice. 52 Ancestors, week #20 – Where Are You Uncle Antanas? 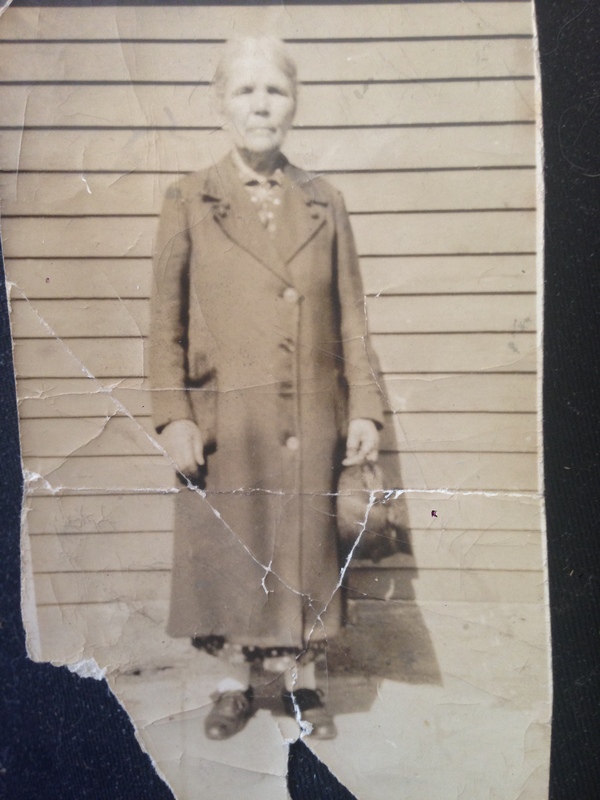 In week #6, I featured my Lithuanian g-grandmother Salomėja (click here for Salomėja’s story). I’ve always wondered what became of her eldest son, my mother’s paternal uncle, Antanas. Antanas Baltrūnas (Anthony George Billie/Billings), was born 8 April 1898 in Preibiai, Panevezio, Lithuania to Juozas Baltrūnas (Joseph Billie) and Salomėja Markevičiūtė (Sally Morris). He was baptized four days later on 12 April 1898, in nearby Pumpenai by the priest Jonas Jarašūnas of Pumpėnų Švč. Mergelės Marijos Škaplierinės bažnyčia (Pumpenai Church of the Blessed Mary of the Scapular). His godparents were Antanas Markevičius (his mom’s brother) and Konstancija Arlauskaitė/Orlauskaitė (likely a maternal cousin of his dad). In 1898, Lithuania was still using Julian dates while the United States was on the Gregorian calendar, a difference of 12 days Click here to read about the Julian to Gregorian switch . So technically his birth occurred on 20 April 1898. Salomėja and young Antanas, age 4 (the ship manifest lists him as age 3 years, 6 months), departed from Antwerp on 12 April 1902, to America, on the Red Star Line’s Zeeland, arriving in New York on Tuesday, 22 April (click here for the ship manifest see line 25 & 26). The NY Tribune reports the weather on that date as warm and fair with unseasonably high temperatures ranging from 64 to 85 degrees. It must have been stifling inside the crowded registry room. Children were asked their name to make sure they weren’t deaf or dumb, and those that looked over two-years-old were taken from their mothers’ arms and made to walk. Their passage was paid by Juozas. The pair had tickets to their final destination of 200 Wachonah Street in Pittsfield and $12 cash (about $332 in 2014 buying power). By 1910, a 12 year old, Antanas is a student and called “Tony”. He resides with his parents who were enumerated as Salome M. Billy, a laundress working on her own account and Josep Billy, a molder at electrical works. Siblings include: Charles (my mother’s father), age 6; Roland [Ralph], age 3 and Domind [Connie], age 1, all born in Massachusetts. The family is living at 87 Madison Ave, Pittsfield Ward 6, Berkshire, Massachusetts in a rented home. There are also 3 lodgers living with the family all male, single and Russian Polish – John Kidz, Jacob Gessing and Michael Jorg. This was a difficult time for the family. Juozas was physically abusive and an alcoholic. A courageous Salomėja left him in 1911, taking the four children (ages 13, 7, 6 and 3) and relocating to Athol, Massachusetts near her brother Kazimieras/Charles Morris. She had to rely on the city for assistance as Juozas did not feel obligated to pay child support. Juozas remained on 87 Madison Avenue (when he wasn’t in jail) until 1916, when he disappears. He may have died, left the area or changed his name to avoid paying child support. 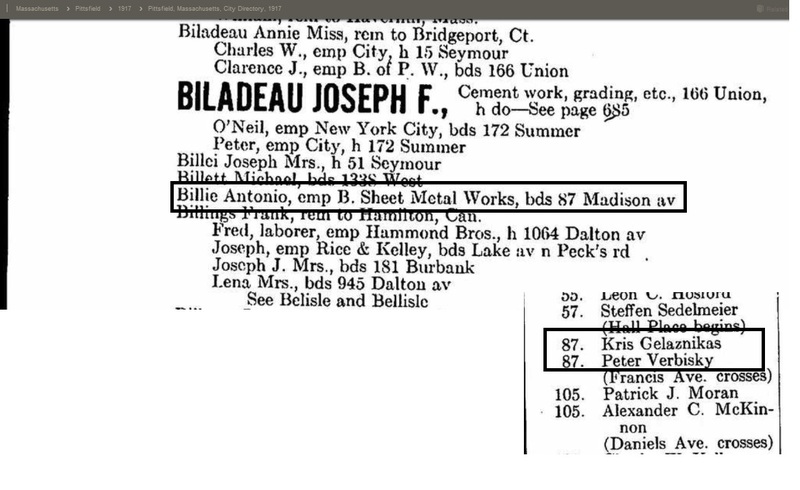 By 1917, a 19 year old Antanas, returned to board at 87 Madison Ave and is listed in city directories as Antonio Billei, emp B Sheet Metal Works. Also at that address are Peter Verbisky and Kris Gelaznikas. 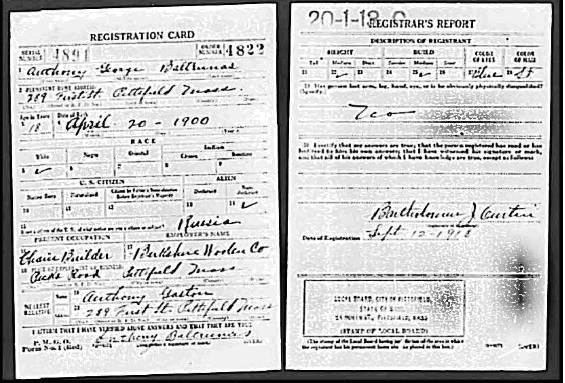 A draft registration card dated 12 Sep 1918 lists Anthony George Baltrunas born 20 Apr 1900 [likely incorrect as all other records concur with a 1898 birth year] as living on 289 First Street in Pittsfield. He is a chair builder for Berkshire Wooden Company on Ricks Road. He is of medium height and build and has blue eyes and light hair. He resides with Anthony Gaston/Gasson and wife Ona/Anna (Vyšniauskas/Wishnewski) Gasson (his mother’s niece through her sister Elžbieta). By 1920, he is listed in the Athol city directory as Anton Baltrenas residing at 57 Pine r, Athol, Massachusetts (this is the same address where his mother and siblings were enumerated in the 1920 census, yet he was not listed with them). He was not found elsewhere in the 1920 census. 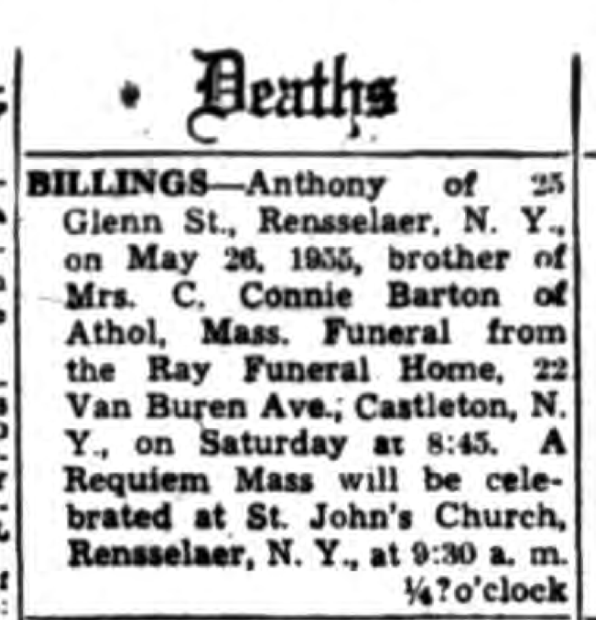 The 1922 Pittsfield City Directory lists “Anthony Billings, emp 55 West, rms 128 Danforth av.”, also the home of Joseph and Nellie Gasson, a brother of his cousin’s husband Anthony Gasson (mentioned above). Note that the Joseph Billings listed in the directory is a different Joseph, not Antanas’ father. The 1923 Pittsfield City Directory reads ”Anthony Billings, rem to Detroit Mich.
Others who relocated from Pittsfield to Detroit that same year include: George & Helen Mears, Angelo Constand, Henry B. Beach, Francis E. McMahon, Ettore Vecello, Mrs. Carrie Sweeney, Frank & Laura Ryniski, William & Alice Kowulske, Albert Zanda, Joseph B Oliver, Arthur J Blais. No connection has been found to link these folks with Antanas. Did he travel alone? Anthony’s whereabouts after 1923, when city directories indicate he left for Detroit, Michigan, are unknown. His two nieces (Charles’ daughters) recall that “Uncle Tony” arrived on Easter with solid chocolate bunnies for them (one Easter, many Easters?). Details are fuzzy, but they recollect his joining the military, losing a leg (or maybe an arm) and residing in New York; but to date no confirming records have been located. His sister Connie. in 1959, mentioned at brother Charles funeral that Charles was her last living brother, so he presumably Anthony died after 1939 [the youngest niece would have been four and at an age to recall chocolate bunnies] and before 1959. When his sister Connie died in 1974, her estate was split between my mother and her siblings, so likely he never married and had no offspring. but….I determined through Naturalization records (declaration of intent) that this is probably not our Anthony; this one was born in 1873 in Lithuania and names his wife as Agota. This Anthony is living with the Stockes family in 1920 and 1930 and is listed as a cousin. Baltrūnas , Baltruniene, Baltrunene, Baltromei, Baltrenas, Baltrunew, Baltromei, Baltromieje, Barton, Bill, Billie, Billei, Billy, Billings and Biller (to name a few). There is a candidate in the 1930 census – an Anton Balchunas working as a laborer at a logging camp in Davis, Pacific, Washington. This Anton was born in Lithuania in 1898 and immigrated in 1902. He naturalized and was divorced. No further records have been uncovered about this man but there is an Antone Balchunas of the same age who died 20 Jan 1995 in Tacoma, Washington….. so this is likely not “our Tony”. No likely candidates were discovered in the WWII draft records. So…. What happened to him? Did he make it to Detroit or detour along the way? Did he marry? Have children? Change careers? Was he an alcoholic? In the military? How did he lose a leg (or arm)? Where did he live? Where is he buried? My mother “sort of” remembers that he died in New York. Another brick wall. Hoping he will someday be found…. I didn’t know my Uncle Charlie, the youngest of my mother’s three siblings. He was born on 2 July 1941. The family was split up and the kids placed in foster care. My mother, who spent her entire childhood in foster care, was later informed that 3-year old Charlie had died. Turns out, he was very much alive. In 1997 a friend of his, named Rose, a genealogist, uncovered some members of the family; I was in my 30’s, living in California, and unaware of the reunion. Until I began to delve into my family history a few years ago, I literally knew nothing of my mother’s family except that I was Lithuanian and French Canadian. I met her sister once or twice, as a very young child, and my only memory is that she made us an amazing batch of Southern biscuits. I guess I knew my mother had two brothers, one in Vegas and another who I recollected was in an institution, and both physically and mentally handicapped. I never asked for specifics and she rarely spoke of her past. Uncle Charlie died three years ago, on 14 March 2011. I never met him. I wish I had – he sounds like an amazing man! After Uncle Charlie died, my mother forwarded me an online news article about him. It was after his funeral. What an amazing life! I was floored – he was not at all as I had imagined! One good thing came from his death. A woman named “Nona” had posted a sweet comment, under the story in the MetroWest Daily News blog; signing as his niece. This led me to connect with my aunt and my meeting three generations of cousins in Alabama (whom I had never met) through the power of Facebook. Turns out, a few months after Charlie’s passing, I was headed to Birmingham, Alabama for IGHR (Samford Institute of Genealogy and Historical Research) , just 45 minutes from them, what a wonderful reunion and great people! I am looking forward to another visit in a few months. It is unfortunate that I didn’t find this message board post about Uncle Charlie a few years earlier…. the local paper. And,all because of a phone call !! So, give it a try, CALL!! If our worth can be measured in the number of lives we touch, Charlie Billings died a very wealthy man. Some called him “the mayor of Framingham.” Some knew him simply as the man on the cherry-red scooter.Whether they knew him by name or not, when Billings was found dead in his Rose Kennedy Lane apartment March 14, he left a vast circle of friends. “He could sit down with a millionaire or somebody who crawled out from under a rock, and bring out the best in them,” said Hopkinton resident Don MacNeill. “He had friends from all walks of life,” said Leo Gleason of Framingham, former director of the Bowleros special-needs bowling league. He was loved by everybody,” said Mostafa “Mozie” Qerqach, owner of Hartford Street Pizza, where Billings would go for cheeseburgers and veal. Billings was born 69 years ago in Gardner, but “Charlie’s family was broken up when he was 3 years old,” said Alison Arnold, a social worker who was Billings’ longtime case manager. He was left on the steps of Tewksbury State Hospital [NOTE – not true, see his sister’s comments below]. At 12, he was moved to Wrentham State Hospital.”We were just amazed when he talked to us” and told some of what he had endured as a child, said Arnold. “He said, “In Wrentham, I was beaten every single day”. In talking to a reporter in the 1980s, Billings recalled, “Nobody taught us anything. I just sat most of the day with my arms folded in the day room. … I was beaten. What reason? No reason. Every day, I was hit over the head with keys or across my legs and feet with a baseball bat. “When he was 12, somebody at the state hospital took a baseball bat and broke both his kneecaps,” said Gleason. Billings wore braces on his legs for most of his life. Eventually, his mobility became so limited he needed to use an electric scooter to get around. “Charlie was one of the first out” when deinstitutionalization began in the 1970s, said Arnold. 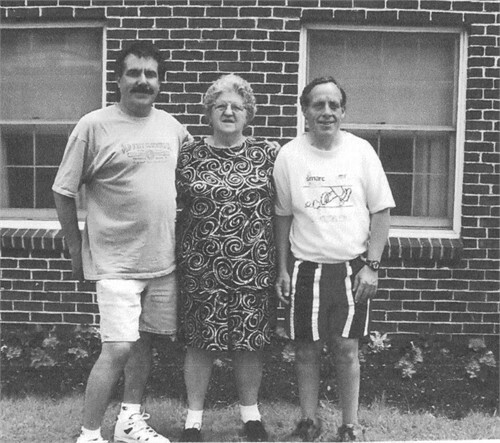 Fred Gaspari, who worked tirelessly on behalf of the South Middlesex Association for Retarded Citizens, picked Billings to be among the first Wrentham residents moved into the community. Billings was placed in a group home in Framingham, then became one of the first to transition to living on his own in the 1980s. He couldn’t read or write, but he managed. “His social skills really got him through,” said Arnold. The similarities were unreal,” said Alfred Bergeron, Billings’ cousin. The national honor meant a great deal to Billings, his friends said. He used his painful lessons to help others, speaking to groups of new Department of Mental Retardation employees going to work in community programs, and also to college students. “He was a powerful speaker” who could explain such things as why a client might not close the door for privacy, because in an institutional setting, there were no doors, said Arnold. MacNeill, who is national director of the Old Guard Riders, asked Billings to use his insights to be a disabled veterans’ advocate with the group, and Billings, though not a veteran, happily took on the role. After the recent funeral of Delaney’s cousin, Billings “got up and walked about 10 rows to shake my hand and pat me on the back,” the police lieutenant recalled. The act of kindness was all the more special because of the effort it took for Billings to walk. “Charlie was of great assistance to Michael,” who was born without hands, said Deborah Kent, who works with Sheppard. He also enjoyed watching wrestling on TV with Sheppard on Monday nights. He liked going to Mohegan Sun, on trips planned by the Arnolds, said Gleason. “He’d come back and be telling stories about the people he met down there. A favorite saying was “everybody’s in a hurry to go nowhere,” and yet, for a man who wasn’t in a hurry, he got around. “We were pretty amazed at the distance he covered in that electric scooter,” said Stone, the Fire Department captain. “He’d show up everywhere. “Billings had his picture taken with Dwayne “The Rock” Johnson when the wrestler-turned-actor was in Framingham to shoot scenes for “The Game Plan” in 2006. A Daily News photo taken last fall shows him talking with Gov. Deval Patrick. On visits to see his cousin, “I met people all through Framingham,” Bergeron said. But the visits between the cousins only began about 15 years ago. Until Billings’ friend, Rose Baldini, did some records and genealogy sleuthing in the mid-1990s, Billings had no idea he had family, and they had no idea about him. He had a reunion with sisters, Shirley and Elizabeth, in 1997. “That was a precious moment for him to see his two sisters,” said Bergeron, who lives in Orange. Arnold and her spouse, Amanda Arnold, took Billings to meet his brother, Ralph, in Las Vegas, a few years ago. While they were there, they took in some shows and saw the sights, said Alison Arnold.”We’ re so thankful we did that with Charlie,” she said. “I just wish a lot of people who saw him through the years (knew) they missed out on a lot not getting to know him,” said Gleason. Visitation will begin at 9 a.m. Saturday at St. Stephen Church, followed by a funeral Mass at 11. 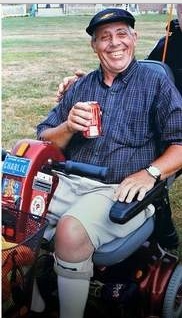 Charles A. Billings, 69, a longtime Framingham resident passed away suddenly at his home on March 14, 2011. Born in Gardner, MA, he was the son of Charles and Yvonne Mary (Roy) Billings. Charlie was one of the earliest residents to transition into the community from the Wrentham State School. His life in Framingham marked a very successful journey from institutionalization to independent living for which he was honored at the national level in 1985 as the second ever recipient of the Bill Sackter Award. His work history included employment at SMARC, Framingham Union Hospital and Dunkin Donuts. His real passion was working as a consultant for the Dept. of Mental Retardation speaking about his life experiences and being an active advocate for people with developmental disabilities. He was recognized by many news organizations and the state legislature for this valuable work. Charlie was well known and loved by many people throughout the MetroWest Area and he could often be seen rolling around town on his red scooter. He was a special friend of the Framingham Engine #6 Firefighters and he was an active member of and Veterans liaison for the Old Guard Riders Inc. He was always willing to lend a hand to those in need. He participated in the Special Olympics and the SMARC Bowleros bowling league. Charlie is survived by his sisters, Shirley Smith of Sylacauga, AL and Elizabeth Hall of Malden, MA, his brother, Ralph Billings of Las Vegas, NV and his cousins Alfred Bergeron and family of Orange, MA. He was a communicant of St. Stephens Parish at 251 Concord St. Framingham, where services will be held. Visitation will be at the church on Saturday, March 26th from 9 to 11AM followed by an 11AM Funeral Mass. Charlie was born with a club foot and that was part of his problem walking. I understand somewhere along the way he had surgery on it. I don’t understand why it is constantly being said that he was left on a doorstep! We were in the house on Green Street in Lynn, MA. A women and two policemen came to the house. Our mother was in the hospital with Tuberculousis. Our father was home with us. These people said we had to go with them. Our father sat at the kitchen table begging them not to take us. Needless to say they did anyway, saying he could not take care of us. I understand that a neighbor said we were left alone while he went to work. He did, but the lady upstairs always kept an eye on us. The state took all four of us to Tewksbury Hospital to be evaluated. NO ONE was left on it’s doorstep. When we left there we were all separated. I have no idea where the others went. There seem to be many folks out there who knew Charlie. A Google search didn’t reveal any further information about his experiences (bowling, Special Olympics, etc.) or awards. If you are reading this blog and knew Charlie, I would love to capture your stories! LindaHalLittle@gmail.com – I will only add your comments here if you want me to, please specify that you wish to keep your thoughts private or anonymous if that is the case. The Framingham Patch was kind enough to post a link to this blog on Facebook. I would like to post the comments to capture them for future generations of my family. Sheree Ginsburg-King I have known Charlie for many years since I was 20 he use to come into my salon and get his hair cut and would always buy me Charlie perfume for my tip. We lost track of each other for a bit, I married a Framingham Fire Fighter and low an behold one day while my husband was at work there was Charlie talking to him. My husband said I want you to meet someone, and I said OMG Charlie and we began our friendship like it was before. I was able to go to the church for his service. Charlie would take my daughter for a quick ride on that little red scooter around the Fire house. Charlie will always have a piece of my heart as he always gave me his. So glad I saw this on FB today put a smile on my face and I needed it. I joined a new book club this week. A group of seven met for a three hour discussion of the types of books that hold our interest. About 50, most historical fiction, were named. Everyone in the room had read 95%. Everyone but me. I was a bit intimidated and embarrassed. I have always been an avid reader. What am I reading now? Books related to my genealogy, or so I thought. Ahhhh…. I am not a genealogist!! I am reading books related to family history to help my “genealogy come alive”! I was thinking of my mother’s grandmother Salomėja Markevičiūtė when I selected the title, White Field, Black Sheep. The story depicts a girl, born and raised in Chicago in the 1960/70’s, in a household where Lithuanian was the first language. A home where her parents didn’t quite understand the ways of America – a country with Barbie Dolls, Hostess Cupcakes and Captain Kangaroo. While my great-grandmother’s story began much earlier, I suspect Salomėja struggled similarly with her “Americanized” children and new homeland. Salomėja Markevičiūtė (Morris) was born in in Stanioniai, Lithuania, on 26 Sept 1870, to Baltramiejus Markevičius and Viktorija Bukaitė. Her known siblings included: Jurgis (1853), Elžbieta (1854), Georgijus (1861), Antanas (1867), Kazimieras (1868) and Rapolas (1873). Salomėja (and her husband) were of peasants, who most likely had a Polish master, whom they paid either with harvest or money. Essentially they were slaves; not entirely like American slaves, but slaves nonetheless. Although slavery in Lithuania was abolished in 1861 it likely went on a bit longer. From 1864-1904, under the Russian Tsar, as part of a “Russification plan”, it was illegal to print, import, distribute, or possess any publications in the Latin alphabet. Peasants who were literate hid books in walls of their wooden houses and woods and taught children in the evenings to read and write in Lithuanian, Polish and/or Russian. Lithuanian books were printed in Prussia (where the Kaliningrad region of Russia lies now) and smuggled to Lithuania by the Knygnešiai, who were considered criminals in Russia but patriots and heros in Lithuania. Under the ban, parish schools were closed. In the state schools (a system of searches, inspections, and spying) students were not allowed to speak Lithuanian. Many parents pulled their children and schooled them at home, in small secret groups or not at all, likely contributing to the high illiteracy rate. The Lithuanian census in 1897 showed that only 54.68% of persons aged 10 to 19 had some level of formal education. Salomėja (and her husband) could neither read nor write according to immigration paperwork [although this conflicts with the 1910-30 US census enumerators, who reported Salomėja could speak English, read and write]. Salomėja married on 18 February 1897, Juozas Baltrūnas, in nearby Pumpėnai, Pasvalys, Lithuania. He was born 15 December 1872 [3 April 1898 on the Julian calendar], in Preibiai village, son of Antanas Baltrūnas and Anelė Orinskaitė/Arlauskaitė. Their first known child, Antanas Baltrūnas, was born 20 Apr 1900, Gregorian calendar [8 April 1898 on the Julian calendar] in Preibiai. He was baptized, in Pumpėnai, 22 April [12th Julian]. His godparents were Antanas Markevičius and Konstancija Arlauskaitė/Orlauskaitė. He has been found in records as Anthony George, Anton, Antoni and Tony. In 2001, there were 11 people living in Preibiai and 40 people living in Stanioniai. Alternate spellings would be Preibių kaimas and Stanionių kaimas which mean village of Stanioniai and Preibiai. The closest church until 1910 was in Pumpenai so they all were baptized/married there even though it is a bit far. In 1910 there was a church built in Paistrys town, which is across the road from Stanioniai. Stanioniai and Preibiai are today in Paistrys parish and Paistrys county. In his book, A Nation of Immigrants, John F. Kennedy writes, “There were probably as many reasons for coming to America as there were people who came. It was a highly individual decision.” We don’t know why Juozas and Salomėja came to America, but between 1868 and 1914 about one in four Lithuanians emigrated due to an increase in population, heavier taxation, a fall in grain prices and an overall deterioration in standards of living; most departed between 1890-1914. The migration by 1900 was substantial. 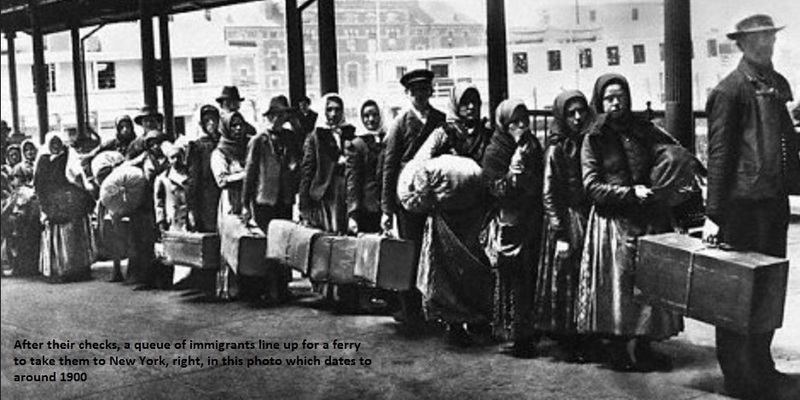 The majority of Lithuanians who departed were young bachelors or married men searching for work. They made a living through menial labor; 48% were illiterate. At least two of Salomėja’s brothers had immegrated previously. They likely wrote home describing the opportunities of America, sent tickets and money and invited friends and relatives to join them. They were likely the sponsors of the new immigrants, and provided them with lodgings. This practice of chain migration helped to establish close Lithuanian communities in the New World. In the 19th century railroads and ocean-going steamships made it easier to leave their agricultural hinterland for the industrial and educational wonders elsewhere. Steamship and railroad companies distributed brochures and posters, heavily marketing America as a country of opportunity, employment, and a better quality of life, in an effort to drum up business. Since emigration from Lithuania (then under Russian rule) was illegal, most crossed the border illegally. The crossing was relatively easy due to the corruption of Russian border officials and through the aid of emigration agents. The penalties for those caught, were mild. The routes of migrants closely followed the major railway and river transportation lines. From Lithuania, the mass migration was greatly facilitated after the emergence of three major railways: St. Petersburg – Vilna – Warsaw (built in 1862), Libava – Shavli – Romny (1873), and Tilsit – Bajorai – Memel (1875). These railways allowed easy access to the Russian–German border. Once in Eastern Prussia, the migrants could easily reach the seaports of Hamburg, Bremen, Antwerp and Rotterdam. The practice of one member of a family going to America first and then saving to bring the others over was common. In early 1900, our family patriarch, Juozas, perhaps departed from the nearby Panevezys train station (opened in 1873). A train with black engines and wooden carriages. He seemed to be travelling alone on the 1,100+ mile journey to his steamship. Travelers might have to wait days to months at the port, either for completion of paperwork or awaiting their ship’s arrival, as train and steamship schedules were not coordinated. Steamship companies were required to put up waiting customers in boardinghouses. Juozas purchased a ticket for about $30 and departed from Antwerp, Belgium on 7 April 1900 aboard the Kensington, part of the Red Star Line. The manifest lists him as “Jozef Baltrunas, married, age 25”: http://tinyurl.com/yf8lxbp (Ancestry) or http://tinyurl.com/yl3yw3k (Ellis Island) line number 16. Juozas was in the bottom of the boat, crammed with 1,500 to 2,000 other immigrants, in steerage, which was lined with bunks, one on top of the other. He likely hit many bad storms at sea. It would rain hard, and he was often wet and shivering. After eleven long, miserable days of human stench, the smell of unattended vomit and substandard food, he arrived at New York on 18 April 1900. By the time the tiring trip approached its long-awaited end, he was likely a state of shock physically and emotionally; yet he was up on deck in his best clothes, cheering alongside fellow passengers at the sight of the breathtaking and magnificent Statue of Liberty. According to the New York Tribune, the weather was “showery” – temperatures ranged from 52 to 63 degrees the day he arrived. The boat anchored at mid-bay and perhaps after a day or two on ship and several hours of confinement on an overcrowded tender without food, water or adequate restrooms, he arrived at Ellis Island. The Ellis Island immigration depot was a processing center for third-class ship passengers (first and second class passengers where usually processed on the ship). Passengers were tagged with their name and a number that corresponded to the ship manifest. Juozas was hailed by officials with pointing fingers, and commands in an unrecognizable language, to join a long line stretching from the dock to the second floor floor of main building where a team of doctors and inspectors checked passengers for sixty symptoms ranging from anemia to varicose veins. Of primary concern were cholera, favus (scalp and nail fungus), insanity, and mental impairments. Anyone afflicted, was marked with a chalked code and detained for further examination. About 2% were deemed incurable, insane or criminal and would be returned to their departure port at the expense of the Red Star Line. Juozas passed inspection, his mental and physical condition was good and he was not deformed or cripple. He was waved toward the main part of the registry room, a room 200 feet long and 100 feet wide, where there was further interrogation, with the assistance of an interpreter, in an attempt to determine his entrance eligibility based on social, economic, and moral fitness. Officials asked him many questions like what he did for a living back in Lithuania and what his plans were in America. They confirmed that he had never been in prison, was not a polygamist or under contract to labor in the US. Luckily, literacy was not an entry requirement until 1917, because he couldn’t read or write. About 5,000 people were likely processed in the registration room that day. On average, it took three to five hours to get through the process. Once approved, Juozas collected his baggage and made arrangements to have it sent to Boston, exchanged the $3 in his pocket for US Currency (about $83 in 2014 buying power), perhaps showered, ate a box lunch and boarded the ferry to Manhattan to begin the final leg of his journey. Juozas’s final destination was the home of his brother-in-law, Kazimieras “Kaz” Markevičius (who paid his passage), in Boston, Massachusetts. Juozas is not found in the 1900 census in Boston or elsewhere. Census day was 1 June 1900, six weeks after his arrival. We don’t know if he had an accurate address for Kaz, enough cash to get him to Boston or who actually reported the census data (perhaps he was there, and a neighbor who wasn’t aware of Juozas arrival, spoke to the enumerator). Salomėja ‘s brother, Kazimieras (a machinist),who had arrived in 1895 claiming his final destination as “Freeland”, was enumerated under the name Charles Morris. He was living on West 8th Street, South Boston, with his brother Rafael Morris (a clothing baster), sister-in-law Anastasia and their son, two year old, Peter all whom had arrived in 1898. Juozas surfaces in 1902, as Joseph Billie, a molder working for E.D. Jones and Sons (where he worked until 1907). 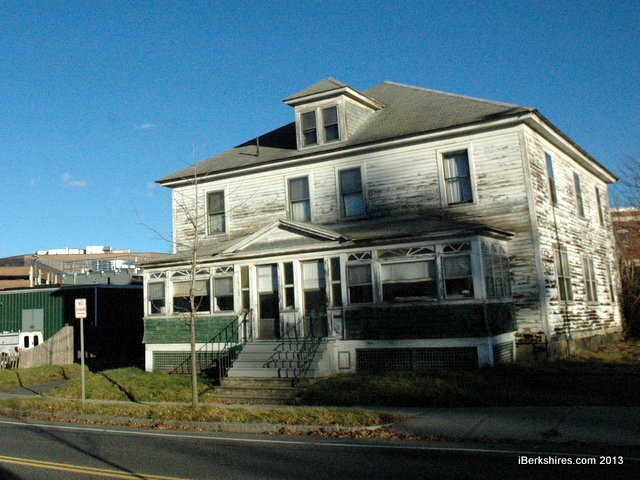 He boarded at 107 Wahconah, Pittsfield, Massachusetts, a beautiful town nestled in the Berkshire Hills. E.D. Jones and Sons, on Depot St., were machinery and equipment manufacturers, whose primarily customers were paper mills. Their niche was stock preparation equipment particularly beaters and jordans. They made dusters, for a variety of uses; stuff chests, rag washers, water turbines, pumps, elevators, mill line shafting and many other special items http://paperindustryweb.com/jones/jonesstorychapter5.htm. That same year, Salomėja and her young son, Antanas, age 2 (the ship manifest lists him as age 3 years, 6 months), made the journey to America on the Red Star Line’s Zeeland – http://tinyurl.com/ksp495h [see line 25 & 26]. Their passage was paid by Juozas. They have tickets to their final destination of 200 Wachonah Street in Pittsfield and $12 cash (about $332 in 2014 buying power). 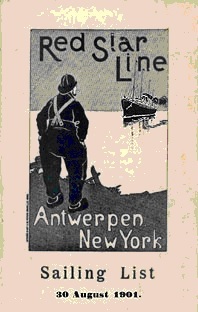 The pair followed the same path and departed from Antwerp on 12 April 1902 , arriving in New York on Tuesday, 22 April. The NY Tribune reports the weather on that date as warm and fair with unseasonably high temperatures ranging from 64 to 85 degrees. It must have been stifling inside the crowded registry room. Children were asked their name to make sure they weren’t deaf or dumb, and those that looked over two-years-old were taken from their mothers’ arms and made to walk. Likely Salomėja was frightened by the clinical routine. Examination by a male doctor was traumatic for a woman who had never been touched by a man, other than her husband. Unescorted women and children were usually detained until their safety was assured through the arrival of a telegram, letter, or a prepaid ticket from a waiting relative. Since they had a prepaid ticket, is not likely that anyone would greet the pair at the port of New York. Mother and infant son were to travel alone to Massachusetts. Imagine the anticipation – a young woman, alone in a strange country with a strange language, protector of her infant son. By 1903, the family had relocated to 13 Leidhold Place where they were boarders along with Samuel Billie/Billings of Lithuania, son of Frank Billings (possibly related to Juozas). Samuel lived with the family in Pittsfield from 1903 to 1911 with the exception of 1906 when he resided on 29 Alder Street. He worked at ED Jones as a foundry worker, attended St Joseph’s church and was divorced with two children. He died 18 February 1922, age 44, after 13 months at the tuberculosis camp. Their landlord was Louis Leidhold, a contractor involved with real estate, who lived at number 12 Leidhold. 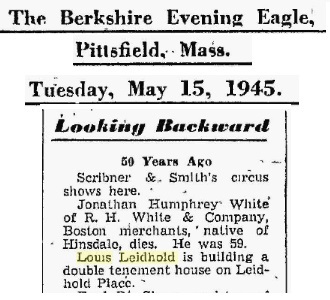 Interestingly, Louis’s dad Erdman Leidhold was a well known citizen who had immigrated from Germany about 1863 having made considerable money owning a successful beer garden. For the 35 years preceding his death in 1913, he slept in a tent from May to October, in his front yard in Pittsfield, to reap the health benefits of the Berkshires’ fresh air. Likely the Baltrūnas/Billings family rented one room from Leidhold, in a wooden double tenement house, he had built in 1895. Soon Salomėja’s niece and nephew (her sister Elžbieta’s children) Raphael Vyšniauskas (Wishnewski) and Ona (Anna) Vyšniauskas (Wishnewski) arrived and moved in with the family. Sometime before July 1906, the group relocated a few blocks away, to 87 Madison Avenue/Tierney Place. 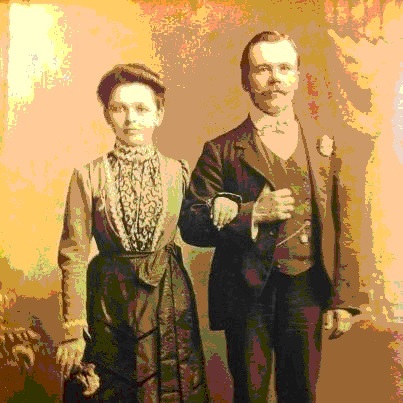 In October 1906, niece Ona (Anna) Vyšniauskas (Wishnewski) married Antanas (Anthony) Gasiunas (Gasson/Gaston), of Gelaziai, Pasvalys, Lithuania and settled in Pittsfield. Perhaps Salomėja and Juozas introduced the pair as their addresses on the marriage record were listed as 87 Madison Avenue and 29 Alder Street, now Danforth Street (residence of Samuel Billings that year). 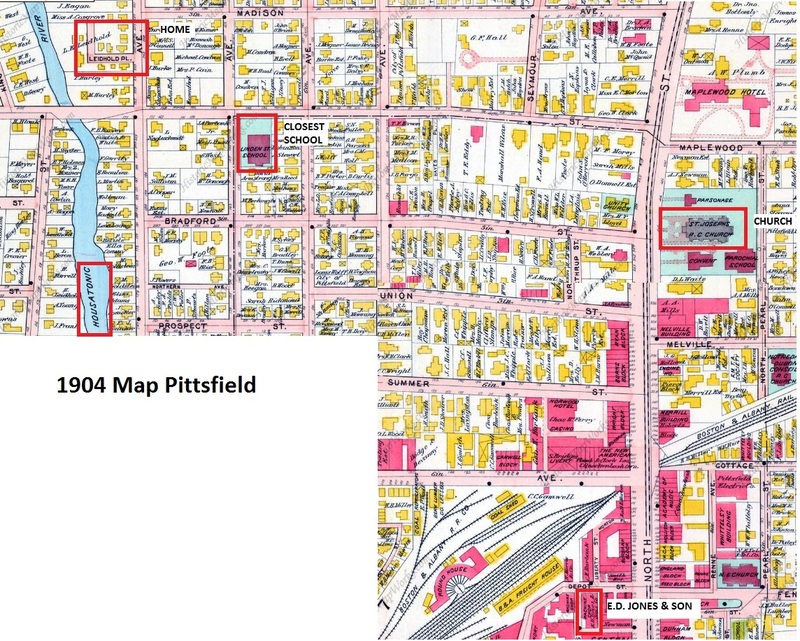 Anthony and Anna had 3 children who in 1971 were all living in Pittsfield – Daisy/Blanche (1909-1990), Bronislaw/Bernard/Brone (1907-1982) and Coziemaria/ Charlotte (1912-1995). (1) Baby Biller, stillborn female born to Joseph Biller and Selomie (Morris) of 10 Leidhold Place, born 18 May 1903, burial at St. Joseph. (2) Charles Anthony Billei (who took the surname Billings). a male born to Joseph and Solomei (Morris) of 13 Leidhold Place, 27 June 1904. (4) Celina Connie Billie (who took the name Connie Barton and was listed in some records as Celina, Domicela, Demencella, Domind), a female born to Joseph and Salome Morris of 87 Madison Avenue, 15 June 1908. Connie’s niece recalls her saying that she used the surname Barton because the schools did not understand her mother and wrote the name Barton in the records. By 1908 Juozas was employed at “The GE” Company, in 1909 he was working for the SGI Company and in 1910 he reports being a molder at the electrical works (likely GE). Salomėja was a self employed laundress. In 1910, their census address is 87 Tierney [likely 87 Madison Avenue which was on the corner of Tierney and Madison]. Living with the family are lodgers John Kidz, Jacob Gessing and Michael Jorg, all single and Russian-Polish. Nephew Raphael is no longer with the family, his whereabouts are unknown. This was a difficult time for the family. Juozas was physically abusive and an alcoholic. 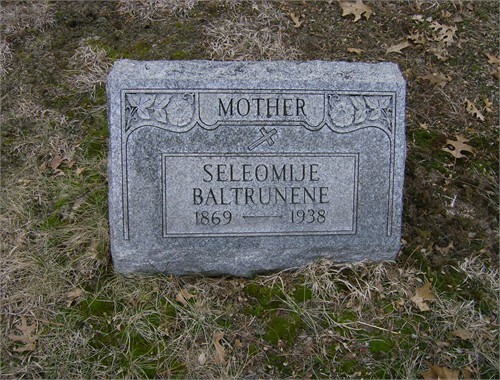 A courageous Salomėja left him in 1911, taking the four children (ages 13, 7, 6 and 3) and relocating to Athol, Massachusetts near her brother Kazimieras/Charles. She had to rely on the city for assistance as Juozas did not feel obligated to pay child support. Juozas remained on 87 Madison Avenue (when he wasn’t in jail) until 1916, when he disappears. He may have died, left the area or changed his name to avoid paying child support. Superior Court : Joseph Billie was charged with assault and battery on his wife and drunkenness. He pleaded not guilty to both charges and the cases were continued to this morning. His wife was the complainant in both cases. Joseph Billie who was recently before the district court on a charge of nonsupport and was released on his own recognizance, was surrendered by probation officer Evans yesterday for nonpayment of the amount he agreed to give to the support of his wife. BerkshireCounty News: Joseph Billie was sentenced to the house of corrections for 30 days on a charge of drunkenness. District Court Cases: Joseph Billie was arrested in Athol and brought to Pittsfield was charged with nonsupport in the district court yesterday. He pleaded not guilty, but was found guilty and sentenced to three months in the house of correction, 50 cents a day to be paid his wife during that time for the labor of Billie at the jail. Mrs Billie said that Mr Billie had given her but $30 in the past 2 ½ years and the city had been assisting her considerably during that time. Formerly, when Billie was ordered to turn his wages over to his wife, he took a position under another name, and it was a month before this was found out. He then went to Athol. A West Pittsfieldite arrested for drunkenness said $10 had been stolen from him. He had $108 on his person when he was arrested. After ordering the defendant to put his money in the bank the court told him to go forth and do better. Joseph Billie was arrested by Deputy Sherriff in Williamstown Saturday and brought to Pittsfield and this morning will be arraigned in district court on a charge of non support of his wife. It is an old case, as Billie was ordered on April 3rd last to pay his wife $5 a week and has failed to comply with the order. 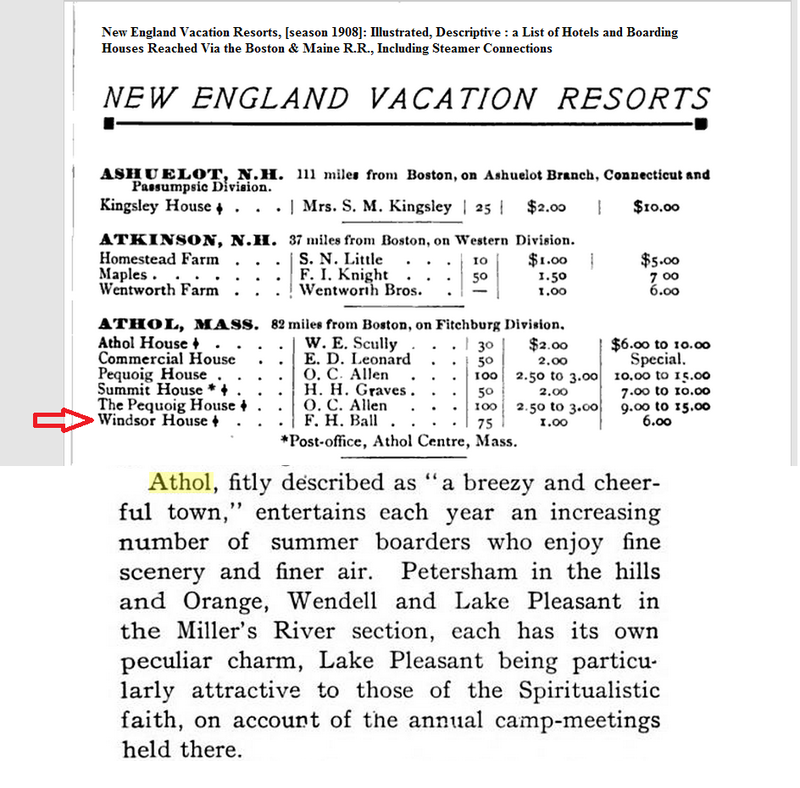 On a lighter note, in 1912, Athol celebrated their 150th anniversary. Perhaps the family was in the crowd viewing the parade. 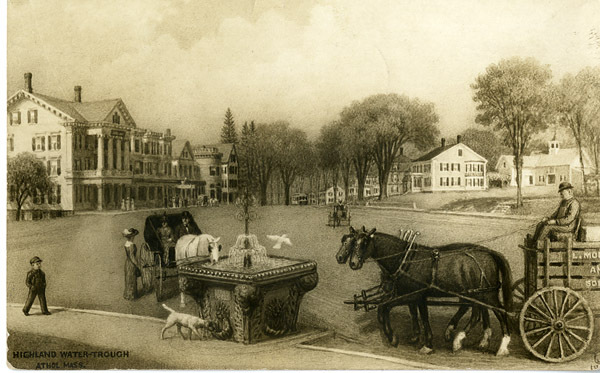 View of horses at the water trough looking down Main Street (now Uptown Common) in 1913 (about 1 mile from their home). 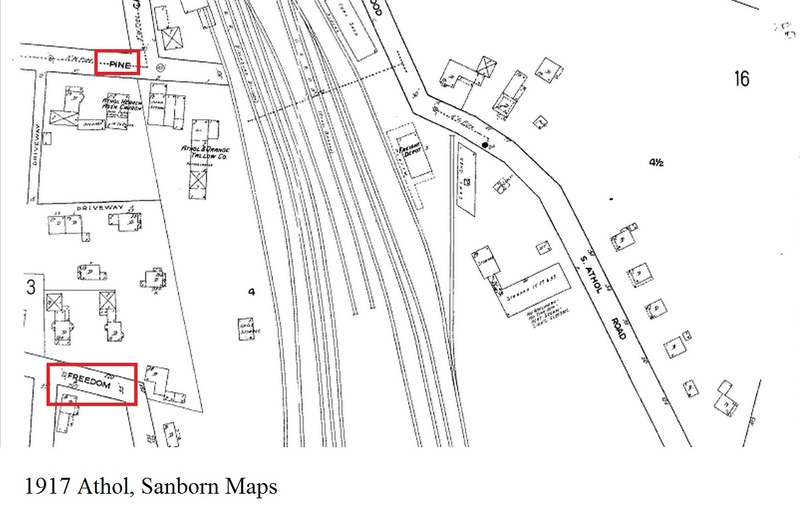 Before 1917 Salomėja’s son Antanas/Anthony had returned to Pittsfield and was residing with his Gasson cousins and working as a chair builder for Berkshire Wooden Company until 1923, when he left for Detroit, Michigan. 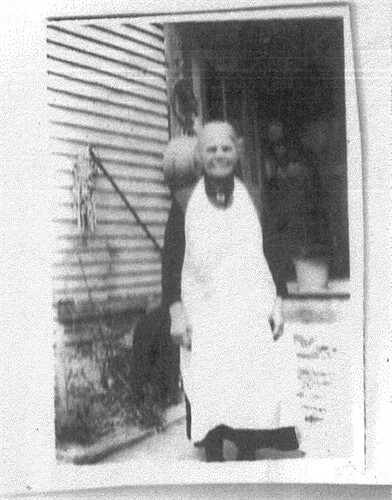 By 1920, Salomėja was working as a shoemaker, living at “57 rear off Pine” in Athol, about a block from her brother Charles (who resided on Freedom), with her four children. She reports that she is widowed (divorce/separation was a disgrace in those years, so we don’t know for sure). Her brother Charles died in 1925. 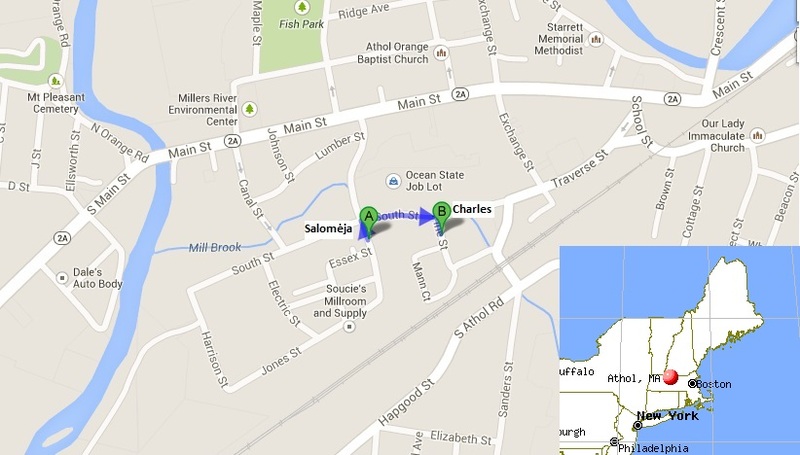 Salomėja and Connie lived together for several years in Athol, moving a few times. By 1928 they resided on Cottage. In 1930 they lived at 387 South Street. Salomėja was working as a laborer at a comb factory. Sons Ralph and Charles had returned to Pittsfield to work, Charles was living with his Gasson cousins. By 1934 Salomėja moved to 56 Sanders with Peter and Nellie Balchuinas (relation if any, unknown – Connie remained at 387 South Street). 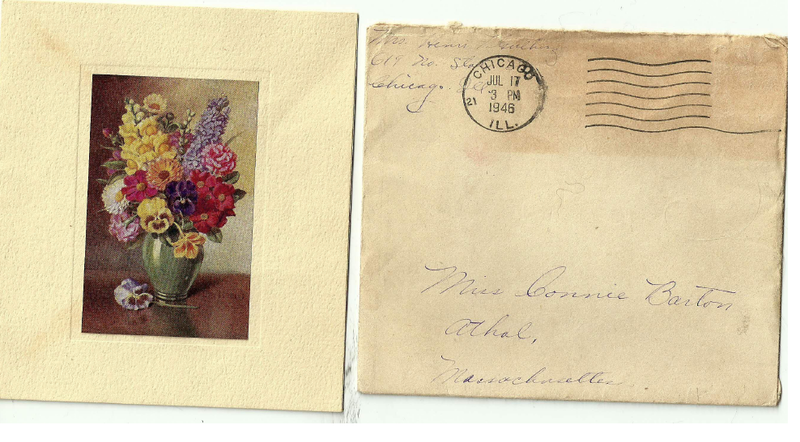 By 1936 Connie had moved to Dover, New Hampshire for a year, returning to Athol shortly before her mother’s death. 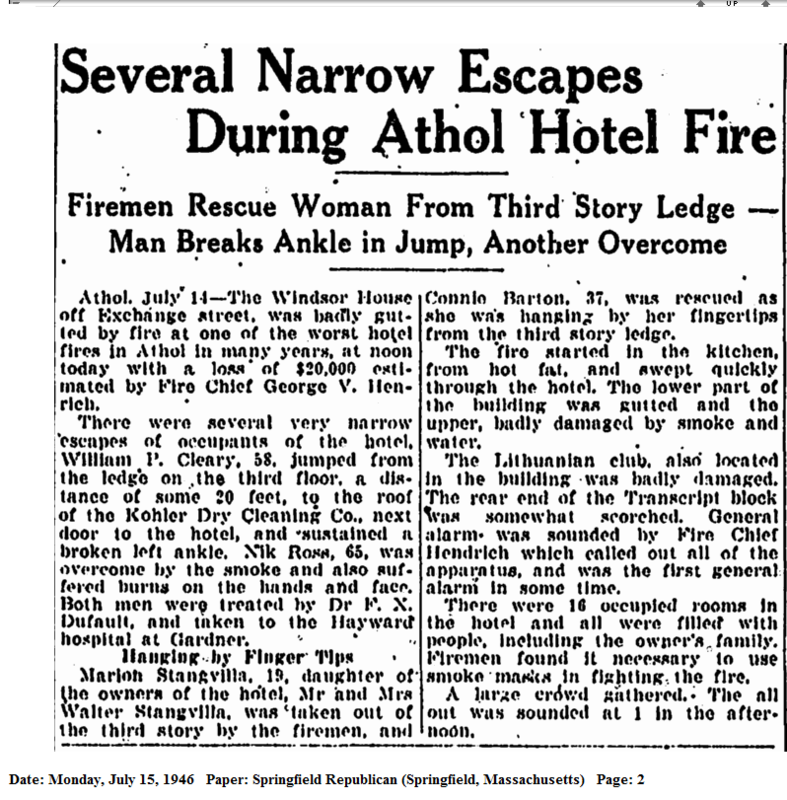 On 5 March 1938 Athol death records report that Sally Baltrunas (Morris) wife of Joseph, female, white, widowed, 68 yrs, 5 mon old died of intestinal malignancy, without a physician in attendance, at her home. She was buried at Gethsemane Cemetery in Athol. Sadly we are left without many details of her life. 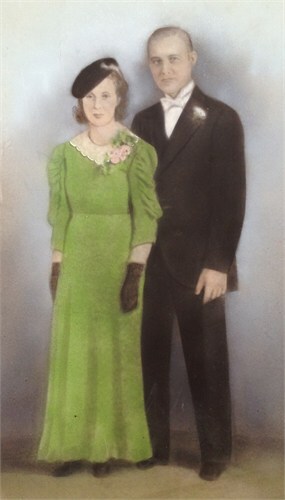 Salomėja’s children Ralph and Connie never married. Ralph worked on a ship and died in San Francisco in 1943. Connie for many years worked for the Starrett Company. She died in Athol in 1974 and was buried near her mother at Gethsemane Cemetery. City directories indicate her son Anthony, “Tony” left for Detroit, Michigan in 1923. Not much is known of him. His two nieces (Charles’ daughters) recall that he arrived one Easter at their foster home in Malden, Massachusetts (early 1940’s) with gifts of solid chocolate bunnies. Details are fuzzy, but they recall his having one leg (or arm) missing and residing in New York. A 1924 newspaper article mentions an Anthony Billings of Troy, New York being treated at the hospital for lacerations to his head, received while on a job site (Hotel Van Curler, Schenectady), working for Atlas Roofing of Newburgh as a sheet metal worker. In in the 1930 Albany, New York census he was likely residing with 73-year-old John Bruce at 103 Broadway. Anthony was single. It appears that he never married. The census tells us that he never attended school but could read and write. He was a laborer working odd jobs. 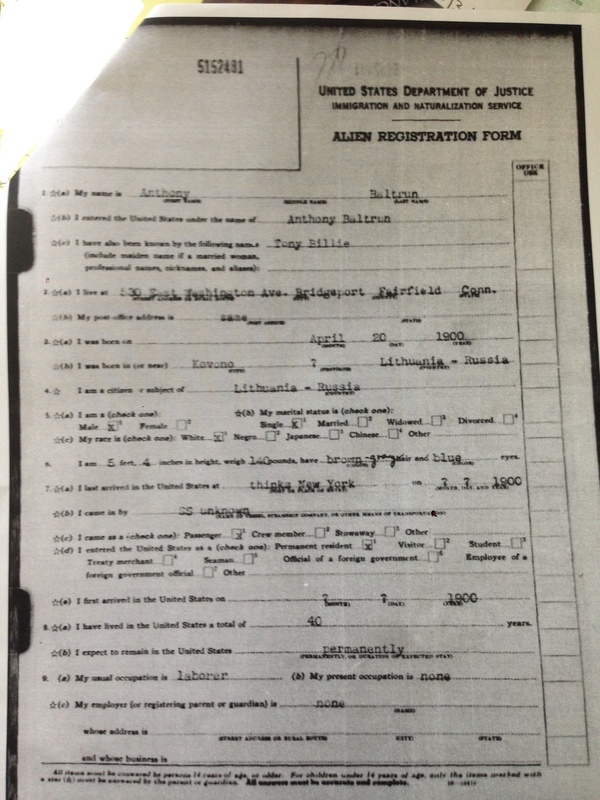 His 1940 Alien Registration Papers report a residence of 530 East Washington Ave., Bridgeport, Connecticut on 23 Dec 1940. He “thinks” he entered the United States through New York in 1900 (exact date and ship name/unknown) under the name Anthony Baltrun. He uses the name Tony Billie. He is single with no wife or children; parents are deceased. He is 5’4″, 140 pounds with brown-gray hair and blue eyes. He has been in the United States for 40 years, having been born in or near Kovono (Kaunas), Lithuania (but does not know the Providence) has not registered for citizenship and plans to remain in the United States permanently. He is usually a laborer but at the time was unemployed. He has never been arrested or in the military and belongs to no clubs or other organizations. Included is a print of his right index finger. He died 26 May 1955 and is buried at Holy Sepulchre Cemetery, St John’s Catholic Church in Rensselaer, New York. Her son Charles (my grandfather) married Yvonne Marie Roy daughter of Paul/Pius Roy and Laura Marie Melanson and had four children. 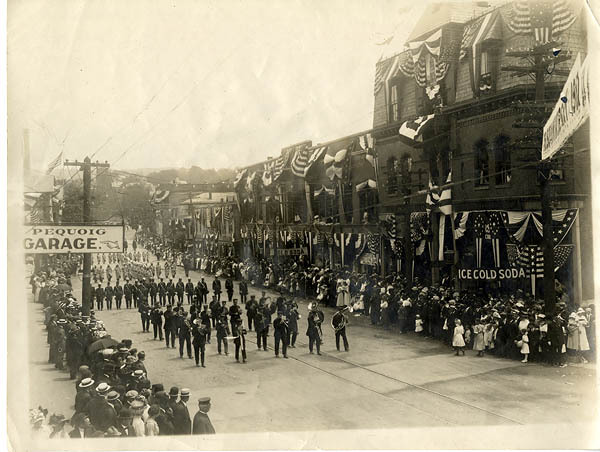 They first resided in Gardner, then Lynn, Massachusetts. When the children were young Yvonne was admitted to the hospital with TB, Charles worked nights and left the children alone, but asked the woman upstairs to keep watch. Another neighbor reported the situation to the state; three children were placed in foster care and a fourth in an institution. The couple separated. He never saw his children again (Yvonne saw them a few times, she was a bartendar and heavy drinker). He died in 1959 in Danvers, Massachusetts and is buried at Forestdale Cemetery in Malden, Massachusetts. I hope you have the picture I sent you recently of our grandparents. I am a clot . I realize, now, that I could have sent you some added information. Again, maybe you know it. If not, here is some history for your family tree. 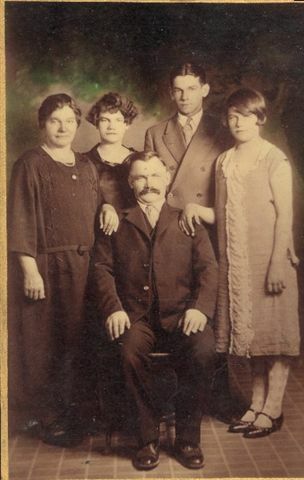 Our Grandfather, Charles Morris, was born on March 4, 1874. His occupation was mechanic or as was listed on my mothers birth certificate. He worked in a shoe factory in Athol, had a house, farm, cow, chickens, dog, cat, etc. Many men came to his farm to talk politics. Our grandmother did everything, including making butter and ice cream. Your mother and mine were required to go out to the woods to pick blueberries. They couldn’t come home until each filled a bucket. 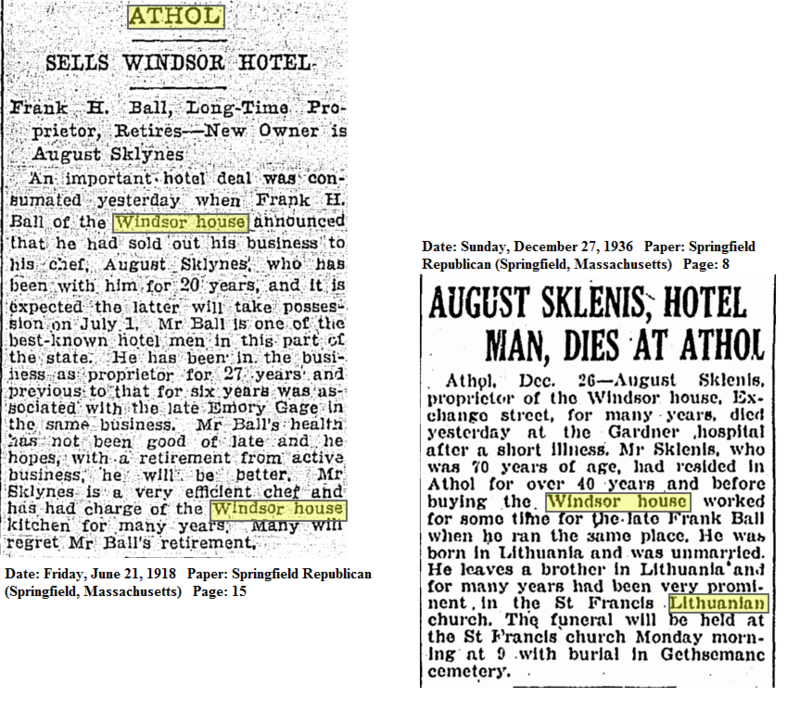 Our grandfather brought home to Athol his father from Lithuania. My mother said that he looked so distinguished, something like Mark Twain, with lots of white hair and a large white mustache. He didn’t have to work, so he walked all over town to talking to anyone and everyone. He was well known. They found him dead one day sitting by a tree looking at a stream. Sorry I didn’t include some of this sooner. You may find it interesting. Again, best wishes for you and your family. Salomėja’s brother Kazimieras legally changed his name to Charles Morris when he became an American citizen in 1908. He had 6 children with Maggie, who he married in Worcester, 30 August 1902: Mary Louise who died as an infant, Nellie (1904-1977), Anastasia Maggie (1905-1986), Paul Peter (1908-1950), Veto (1911-1959) and Edward (1918-1978). He resided in Athol until his death in 1924. That same year his daughter Nellie relocated to Detroit, Michigan (city directories indicate her cousin Anthony relocated there as well). Salomėja’s brother Rapolas and his wife Anastazija Maikštėnaitė remained in South Boston. It is unknown if they stayed in touch. Rapolas’ first son Peter/Petras Markevičius was born in Stanioniai on 12 April 1898 and baptized in Pumpėnai 19 April, (the day before Salomėja’s son Anthony was born). Three more children were born in America: Katherine/Katie (1901), Ann/Annie (1902) and Alice (1909). Rapolas died in 1954. Autosomal DNA testing has further strengthened the case! “New York Passenger Lists, 1820-1957” Ancestry.com http://www.ancestry.com : accessed 17 August 2009, transcription, “Józef Baltrunas Line 16, Microfilm Serial 15, Microfilm Roll T715_115, Page number 99” crediting Passenger Lists of Vessels Arriving at New York, New York, 1820-1897; (National Archives Microfilm Publication and Passenger and Crew Lists of Vessels Arriving at New York, New York, 1897-1957; (National Archives Microfilm Publication T715, 8892 rolls); Records of the Immigration and Naturalization Service; National Archives, Washington, D.C.
“1900 United States Federal Census”, Ancestry.com (http://www.ancestry.com/ : accessed 17 June 2009), transcription, “Year: 1900; Census Place: Boston Ward 15, Suffolk, Massachusetts; Roll T623; Page: 7 & 8B; Enumeration District: 1375; Image: 15 row 50 & 16, rows 51-53, crediting “United States of America, Bureau of the Census. thirteenth Census of the United States, 1900. Washington, D.C.: National Archives and Records Administration, 1900. “1920 United States Federal Census”, Ancestry.com (http://www.ancestry.com/ : accessed 17 June 2009), transcription “Year: 1920; Census Place: Athol, Worcester, Massachusetts; Roll T625_744; Page: 21B; Enumeration District: 5; Image: 858”, rows 76-79, crediting FamilySearch. 1911, Billei, Joseph h 87 Madison, also lists Samuel J Billei emp ED Jones & Sons, bds 87 Madison Ave (a search was done for Samuel in Ellis Island documents with no results using Steve Morse, Ancestry and Ellis Island search engines). (Peter Verbisky lives at same address). 1912, Billei, Joseph h 87 Madison Av. (Peter Verbisky lives at same address). 1913, Billei, Joseph h 87 Madison Av. (Peter Verbisky lives at same address). 1917/18 Draft Registrations-Anthony George Baltrunas born 20 Apr 1900 is listed as living on 289 First Street in Pittsfield, MA. Birth place is listed as Russia, he is a chair builder for Berkshire Wooden Company on Ricks Road. Nearest relative is listed as Anthony Gaston also of 289 First Street. Registration is dated 12 Sep 1918. 1920 Anton Baltrenas at 57 Pine r, Athol, MA (he is not listed in the 1920 census with the family). 1922, Billings, Anthony emp 55 West, rms 128 Danforth av.,Pittsfield, MA home of Joseph & Nellie Gasson. 1923, Billings Anthony, rem to Detroit Mich., Pittsfield, MA. Other’s in Pittsfield who moved to Detroit that same year include: George & Helen Mears, Angelo Constand, Henry B. Beach, Francis E. McMahon, Ettore Vecello, Mrs. Carrie Sweeney, Frank & Laura Ryniski, William &Alice Kowulske, Albert Zanda, Joseph B Oliver, Arthur J Blais. 1931, Billings, Charles , emp GE bds 104 Draper Ave also listed as 105 Sadler Av, home of Anthony Paul Gasson [house changed addresses per Mitt Gasson, grandson, they didn’t move]; Billings, Ralph bds 738 Tyler (at that address is also Mrs. Nellie E. Kibby), Pittsfield, MA. 1934 Baltrunas, Saloma R. Mrs. r 56 Sanders, Athol, MA (This is also the address for Peter and Nellie A Balchuinas lab h 56 Saunders and Peter P Balchuinas woodworker 900 Main r 56 Saunders, note that the initial R does not fit).